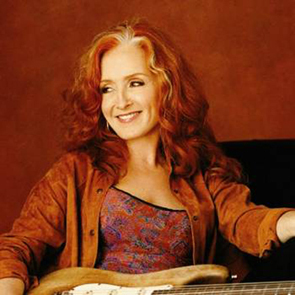 Blues singer and guitarist Bonnie Raitt talks about her career as a woman musician in the blues and remembers singing with her hero Sippie Wallace. We trace the musical DNA and psychic aura of the blues from its Delta roots to Chicago's electric pioneers, across a patchwork of regional styles and modern day innovators. In an archival interview we talk with blues rockers the Black Keys of Akron, Ohio, about defying genre, eschewing nostalgia, and the blues progenitors who blurred labels like primitive and avant-garde. Age Don't Mean a Thing for 65-year-old Louisiana bluesman Robert Finley, who caught a big break in the last couple years and is now rocking the mic and hitting the road harder than ever. From Cadillac, Michigan to the Crescent City, Luke Winslow-King recalls the bad times and breakups that gave him a deeper understanding of the blues and inspired him to make I'm Glad Trouble Don't Last Always. Plus, we load up the jukebox with our favorites from Howlin' Wolf and Buddy Guy, Johnny Burnette and Buddy Holly, Willie Nelson and Bonnie Raitt. We trace stardom back to its source, traversing the roots and routes that led small town musicians to national fame. Pop icon Boz Scaggs and the late Cajun honky-tonk man Jimmy C. Newman took very different paths to the stage but carried with them the sounds they grew up hearing. Boz Scaggs achieved mainstream success with his own platinum records as well as his work with Steve Miller and Duane Allman. We talk to him about his 60+ years performing on the road and how he came into his own by reconnecting with the blues he heard as a kid in "Nowhere, Texas." Then, we remember the late Jimmy C. Newman, who took the sounds of French Louisiana to the Grand Ole Opry and put Cajun music and culture on the map. Son Gary Newman, producer Joel Savoy and musician Kelli Jones tell of his legacy and their tribute album, Farewell, Alligator Man. Plus, we trace Hank Williams' "Jambalaya" back to its Cajun origins, served up with tunes from Bob Dylan, Bonnie Raitt and Professor Longhair. Photo by Chris Phelps. What comes to mind when you hear the word Diva? We'll explore the meaning - and the sound - of that feminine term through our music mix, and through interviews with some high-minded women who give the word a good name: Bonnie Raitt, Abbey Lincoln and young chanteuse Norah Jones. Plus songs with men and women weighing in on the topic from Louis Jordan, Memphis Minnie, Bob Dylan, Nina Simone and more. What comes to mind when you hear the word Diva? We'll explore the meaning -- and the sound -- of that feminine term through our music mix, and through interviews with some high-minded women who give the word a good name: Bonnie Raitt, Abbey Lincoln, and young chanteuse Norah Jones. Plus songs with men and women weighing in on the topic from Louis Jordan, Memphis Minnie, Bob Dylan, Nina Simone and more. Romance and passion with American Routes' annual musical Valentine. With such musical couples as Les Paul and Mary Ford, Charles Brown and Bonnie Raitt and Astrud Gilberto with Antonio Carlos Jobim.